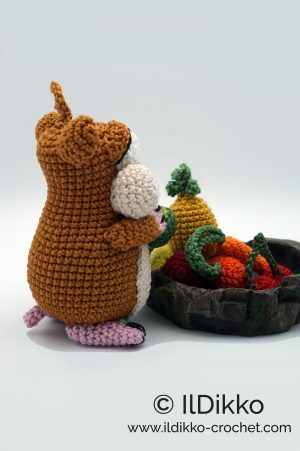 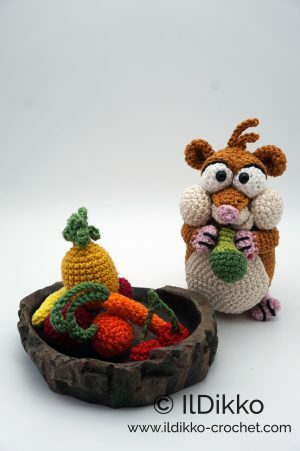 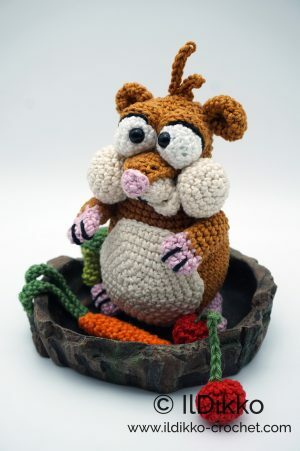 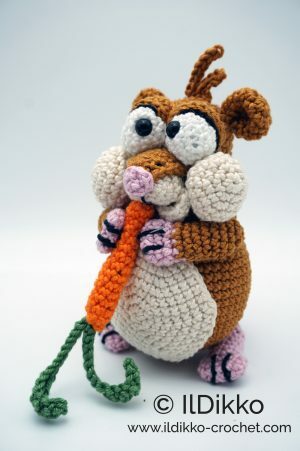 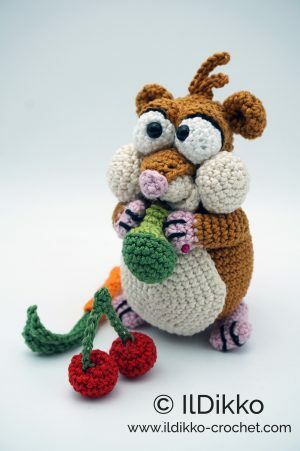 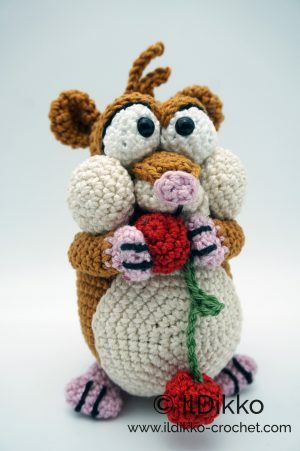 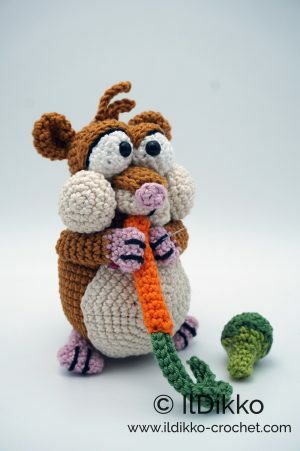 Using the given yarn and hook size Hans the Hamster will be 13 cm tall. 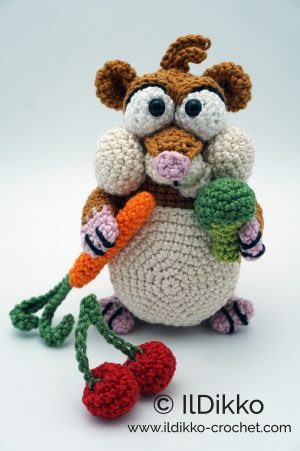 The pattern is available in English (American terminology) and can be purchased in my Etsy shop. 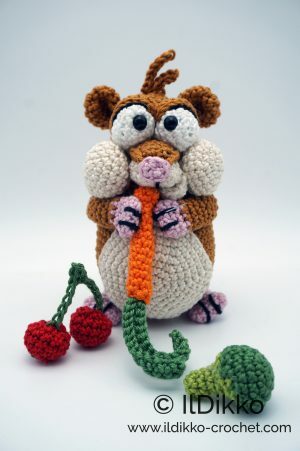 After completion of your order the PDF file containing the pattern can be downloaded immediately from Etsy.